A crescent-shaped volcanic atoll located 2.5 miles off the southern shore of Maui, Molokini Crater is by far the most popular snorkeling and scuba diving destination in all of Maui County. While thousands of travelers from around the world make their way to this unique Hawaiian destination each year, the crater’s fascinating history, from the Hawaiian legend of its formation to the unique wildlife you’re likely to see there, often goes untold. We invite you to explore what makes this destination so exceptional, both above and below the surface. Lying along Haleakala Volcano’s southwest rift zone and covered in a mixture of ancient cinders, ash and lava, researchers originally believed that Molokini Crater was formed during an eruption that occurred sometime in the last 50,000 years. Yoshitomo Nishimitsu, a graduate student at Japan’s Kyoto University, along with researchers at the Hawaiian Volcano Observatory, however, discovered through potassium-argon dating that the crater was actually formed during an eruption that occurred approximately 230,000 years ago. Located in the Alalakeiki Channel between South Maui and the neighbor island of Kaho’olawe, Molokini Crater may actually be older than Haleakala itself! In ancient Hawaiian legend, Pele, the Goddess of Volcanoes and Fire, once fell in love with a Prince named Lohiau. A beautiful mo’o, or guardian lizard, was also in love with the prince. Spurred by fierce jealousy and rage, Pele cut the mo’o in half, turning her body into stone. Pu’u Ola’i, the cinder cone in Makena, is said to be her head, Molokini Crater her curved tail. Another legend states that Molokini is the umbilical cord of the neighbor island of Kaho’olawe, once cut by an early Hawaiian ancestor named Uluhina. Due to the ancient tradition of burying the umbilical cords of ali’i, or Hawaiian royalty, Molokini Crater was possibly a location where the afterbirth of royalty was placed into the ground. After the arrival of the first Polynesian settlers in Hawaii, Molokini Crater was largely used for fishing, hunting, and gathering. Archeological evidence of ancient stone sinkers and fishing lures have been found by researchers and scuba divers, and it’s believed that they once hunted birds, eggs and collected feathers from atop the crater. When Pearl Harbor was attacked at the onset of World War II, the U.S. military commissioned Molokini and Kaho’olawe for bombing practice due to their similarities in shape and size to potential battleships and submarines. To this day, 50 caliber shell casings, impact craters, and casings of unexploded ordnances can still be found. In 1975 and 1984, the U.S. Navy detonated unexploded ordnances within the crater, causing damage to large areas of coral reef. The area was also regularly pilfered for rare black coral, which could be sold for high dollar amounts in jewelry stores throughout the world. In 1977, after a public outcry from concerned citizens, Molokini Crater and 77 acres of underwater terrain were officially declared a Marine Life Conservation District, consequently protecting 260 fish species and 38 coral species in the area. 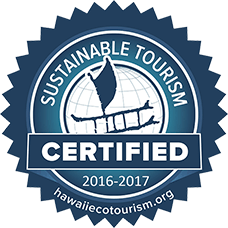 It’s also currently federally classified and protected as a Hawaii State Seabird Sanctuary, preventing human access to the crater itself. Taking geological specimens, such as sand and coral, is also forbidden, as is the fishing, feeding or harming of any of the marine life in the area. In 1988, as a way to improve and maintain the health of the coral reef, day-use moorings were put in place to prevent charter boats from dropping anchor on the fragile reef system. Today, Molokini is visited annually by approximately 400,000 travelers from around the world and continues to be one of the top snorkeling and scuba diving destinations in the country. On land, two primary species of nesting birds exist – the Wedge-Tailed Shearwater and Bulwers Petrels. Feeding on a mixture of fish, crustaceans and planktonic creatures on the ocean’s surface, these birds can be seen nesting within the rocky terrain of the crater. Occasionally, you may also see Brown Boobies and Great Frigatebirds, or ‘Iwa (meaning “thief” in Hawaiian), due to their tendency to steal fish from other birds in mid-flight. Underwater, visitors are likely to see several species of tropical fish, many of which are endemic to Hawaiian waters. Some of the most popular species include Bluefin Trevally (‘Omilu), Achilles Tang (Paku’iku’i), Convict Tang (Manini), Yellow Tang (Lau’i-pala), Moorish Idol (Kihikihi), Black Triggerfish (Humuhumu’ele’ele), Parrotfish (Uhu), Four Spot Butterflyfish, Longnose Butterflyfish (Lauwiliwili), Threadfin Butterflyfish, Saddleback Butterflyfish, Ornate Butterflyfish, Raccoon Butterflyfish (Kikakapu), Picasso Triggerfish, Reef Triggerfish, Red Tooth Triggerfish, Peacock Grouper (Roi), Trumpetfish (Nunu), White Spotted Pufferfish (‘O’opu-hue), Moray Eels (Puhi Paka) and Octopus (He’e Mauli). If you’re lucky enough to visit the less crowded back wall of Molokini Crater, keep an eye out for larger species such as Manta Rays (Hahalua), Spotted Eagle Rays (Hihimanu), Stingrays (Lupe), Reef Sharks, the elusive Whale Shark and Hawaiian Spinner Dolphins (Nai’a). Between December and April, you’ll likely see humpback whales en route to Molokini, as the shallow channel between Maui and our neighbor islands is one of the best places to whale watch in all of Hawaii. The easiest way to spot these amazing animals is by the mist from their blowholes, but they often display behaviors such as breaching, pec slaps, and fluke dives, all of which are easy to spot from a boat, kayak, outrigger canoe or raft. Snorkeling is by far the most popular activity at Molokini. Since the crater is made entirely of rock, the water remains relatively undisturbed by sand and sediment that tends to cause poor visibility at some of Maui’s most popular snorkeling spots closer to shore. Visibility at Molokini regularly exceeds 150 feet on good days, and the inside of the crater is generally sheltered from strong wind and waves. Whether you majored in snorkeling or it’s your first time wearing a mask and fins, Molokini Crater is a great place to dive in and enjoy views of tropical fish, colorful reef, and excellent clarity. For those who prefer to explore with a regulator, the back wall of Molokini has been named one of the Top 10 Diving Destinations in the World. Perfect for advanced scuba divers, this drift dive offers steep drop-offs (360 feet to the ocean floor), dramatic terrain, vibrant reef and unique underwater life. For beginner and experienced scuba divers, many charter boats offer scuba diving inside the crater walls. With depths around 100 feet, this dive is a great place to capture underwater photos or relax and take in sights of the surrounding reef and abundant marine life. If you’ve never tried scuba diving or don’t have time to get certified while you’re here, many companies also offer SNUBA, bridging the gap between snorkeling and scuba diving by allowing guests the freedom of breathing below the surface without wearing a scuba tank. 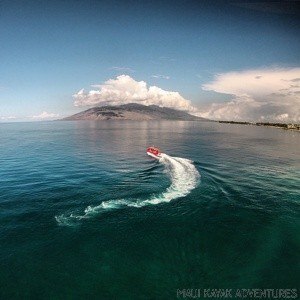 Molokini Crater is Hawaii’s only Island Marine Sanctuary. 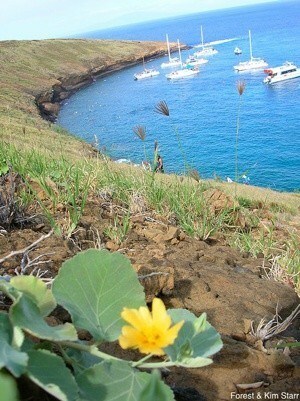 Almost half a mile wide, Molokini Crater peaks at 162 feet above sea level. Molokini Crater is home to 38 hard coral species and approximately 100 species of algae. The crater is home to approximately 50 species of plants, half of which are native to Hawaii. Fish within the crater do not shy away from people like they typically do in other, less crowded snorkeling areas. Controversy exists as to whether or not the amount of people at Molokini Crater is having an unwanted effect on the way marine life reacts to humans. For the majority of travelers, hopping aboard one of the many available boat charters from Ma’alaea Harbor or South Kihei Boat Ramp is the quickest and easiest way to get to Molokini Crater. If you choose this route of travel, we recommend Redline Rafting, which departs daily from South Kihei Boat Ramp and arrives early in the morning before most larger boat tours. They are also one of the very few companies that offer snorkeling both inside the crater and along the back wall before heading to La Perouse Bay and Turtle Town. A much less popular (and more difficult) way of reaching Molokini Crater is to paddle there in a kayak! 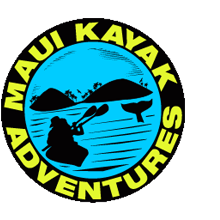 For experienced paddlers or those with cross-over training, we recommend joining us for a special Molokini Paddle Challenge. Rest assured that this paddle isn’t for the faint of heart (or arms), but it’s an experience 99% of travelers can’t say they’ve done. Hawaiian Paddle Sports also offers the unique opportunity to paddle to Molokini in a 6-man Hawaiian Outrigger Canoe. 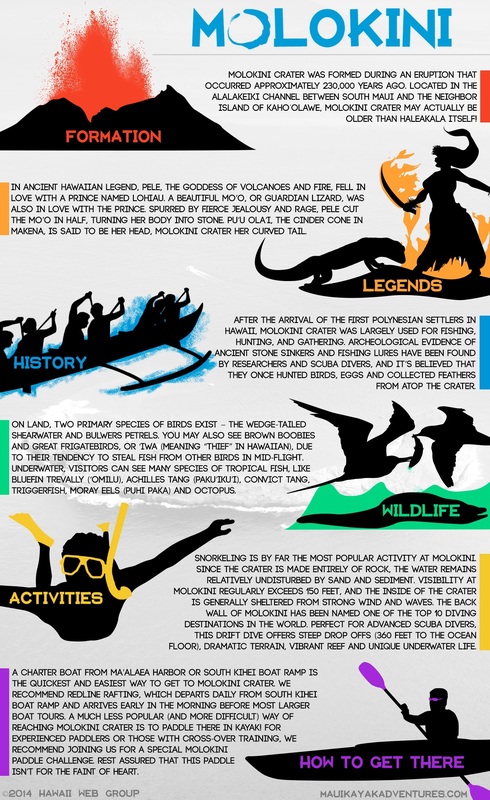 We hope you enjoyed learning about Molokini’s fascinating history, and we hope to see you out on the water with us soon. Share your favorite Molokini Crater experience with us in the comments below, and as always, mahalo for reading! A crescent-shaped volcanic atoll located 2.5 miles off the southern shore of Maui, Molokini Crater is by far the most popular snorkeling and scuba diving destination in all of Maui County.